KSiteTV's Craig Byrne and Shilo Adams break down the 2017 FOX fall schedule, including best scheduling moves and most promising trailers. 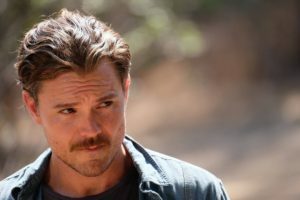 SHILO: When I first saw the FOX schedule, a part of me was surprised by Tuesday, as I didn’t think The Mick and Lethal Weapon necessarily flowed that well. However, with FOX only ordering two new comedies, I get the logic of trying a promising midseason comedy A) in the fall and B) behind a good lead-in; The Mick was doing solid business this season, so FOX probably sees it as an asset they want to give an opportunity to grow/solidify itself. However, given the comedy traffic jam that is Tuesdays at 9:00, with both ABC and NBC using the hour for comedy, I kind of think that the two Tuesday hours for FOX should flip; Lethal Weapon‘s only drama competition would be Bull, while the comedies would only have one other comedy hour to deal with. But if Lethal Weapon is able to stay solid away from Empire, which is possible as its ratings trend didn’t always correspond with its lead-out, and The Mick can display the same amount of strength it did this past season, I think Tuesday could be a marked improvement over last fall. CRAIG: I’m still a little confused, and I still want a Lethal Weapon/Lucifer night some day (as I had hoped/predicted/scheduled for Thursday). On the bright side, hey, at least there’s no Scream Queens. This night seems weird and I have no idea where it could go.